Planning to reroof your home by yourself? Get ready—you’re going to generate plenty of waste. Roof tear off materials often tally in the tons for weight, meaning you need a generous dumpster to take care of your excess. But just what size dumpster is right? How do you know? Here’s how to make your calculations—before you step foot on your roof. Since dumpster sizes are typically expressed as yards—for instance, ten yards, or twenty yards—it can be tempting to conclude that your roofing tear off waste comes down to an issue of length. Typically, though, with roofing projects, it’s more about the weight. Shingles are heavy, and can easily surpass the weight limits for dumpsters if you’re not careful. Calculating weight for your roof tear off is by no means a precise science, but you can get a general feel for the heft your shingles will have once they’re piled into a dumpster—and it depends on what they’re made out of, the size of your roof, and how many layers you have installed on your roof. Most homes have one of two different kinds of asphalt shingles on their roofs. There are three-tab shingles, a more traditional-looking specimen with a smooth, light-weight look, and architectural shingles, which are thicker and designed to give surfaces a textured appearance. As you might imagine, architectural asphalt shingles weigh much more than their three-tab counterparts. However, those weights are typically nothing compared to the load from more specialized materials. Clay, slate, and concrete tiles all weigh more than asphalt, many times over. In general, asphalt hits somewhere around 2.5 to 3 pounds per square foot. On the other hand, a load of ¾-inch slate tiles might weigh as much as 26 pounds per square foot—so that’s definitely a drastic difference. You can use a roofing weight calculator, like this one, to figure out how much each material you pull off will weigh. 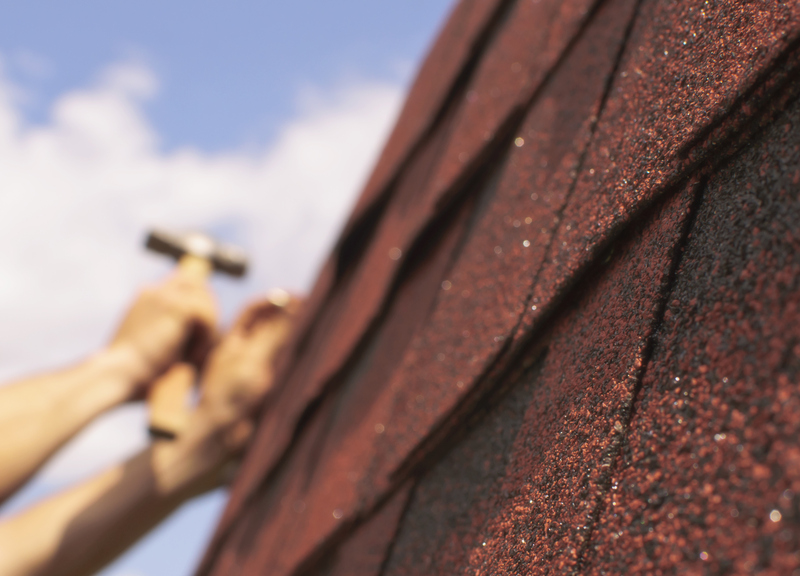 Keep in mind that some roofs have multiple layers of shingles, so that can affect your weight as well. Every roof is unique, of course, and the size and shape of yours will factor into the final weight of the materials you toss in the dumpster. Roofers typically measure surfaces in squares—one square is equal to 100 square feet. Have a 2000 square foot roof? You’ve got 20 squares, and so forth. While the type of roof and the underlayment can affect the final weight, as a general rule, for asphalt shingles, you can estimate around 250 pounds per square for standard three-tab shingles, and about 400 pounds per square for architectural shingles. Remember, again, if you have multiple layers of shingles, you need to multiply the total amount of squares by the number of layers before you find the weight. For instance, a 2000-square-foot roof with two layers of shingles should be treated as 40 squares, not 20, because the weight will be doubled. Your rental company may have their own specific weight limits for their dumpster sizes, as well. Like most things in life, it’s better to error on the larger size. You can always return a half-full dumpster, but it’s much more frustrating to have to remove materials and rent a second dumpster before you can get your project all wrapped up. 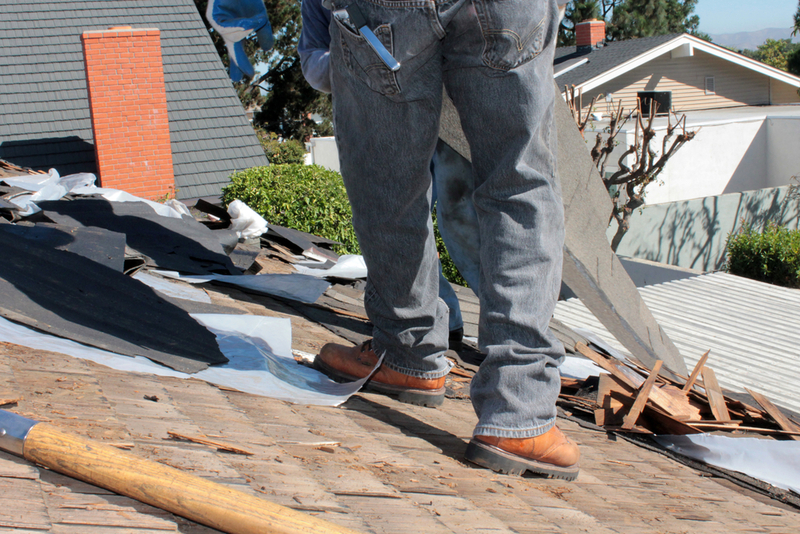 Landfilling your roofing waste is only one way to go. Shingle recycling is becoming increasingly more popular in many areas, and it generally costs a lot less than sending your materials off to the dump. Recycled shingles can be used to create asphalt roads and pavement, and that’s several tons of waste you’ve just diverted from the landfill! Recycling companies are usually more than happy to help you plan your waste removal, and it’s certainly one way to green up your reroofing project.